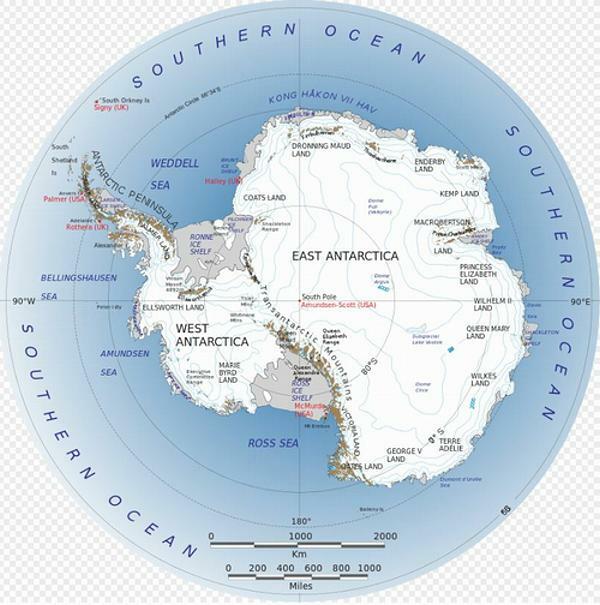 HOBART, Tasmania, Australia, October 30, 2016 (ENS) – The world’s experts on Antarctic marine conservation have agreed to establish an expansive marine protected area, MPA, in the Ross Sea region of the Southern Ocean. This week at a Meeting of the Commission for the Conservation of Antarctic Marine Living Resources, CCAMLR, in Hobart, all 24 member countries and the European Union agreed to a joint proposal by the United States and New Zealand to establish a 1.55 million square kilometer (598,000 square mile) area of the Ross Sea protected from human activities. By comparison, Papahānaumokuākea Marine National Monument in the Northwestern Hawaiian Islands was previously the largest marine protected area, at 1.508 million square kilometers (583,000 square miles). This new MPA in the Ross Sea, to take effect December 1, 2017, will limit, or entirely prohibit, fishing and krill harvesting in order to meet conservation, habitat protection, ecosystem monitoring and fisheries management objectives. Seventy-two percent of the MPA will be a no-take zone, which forbids all fishing, while other sections will permit some harvesting of fish and krill for scientific research. CCAMLR Executive Secretary Andrew Wright is excited by this achievement and says the decision has been several years in the making. “This has been an incredibly complex negotiation which has required a number of member countries bringing their hopes and concerns to the table at six annual CCAMLR meetings as well as at intersessional workshops,” said Wright. “A number of details regarding the MPA are yet to be finalized, but the establishment of the protected zone is in no doubt and we are incredibly proud to have reached this point,” he said. “The Ross Sea Region MPA will safeguard one of the last unspoiled ocean wilderness areas on the planet – home to unparalleled marine biodiversity and thriving communities of penguins, seals, whales, seabirds, and fish,” said Kerry. 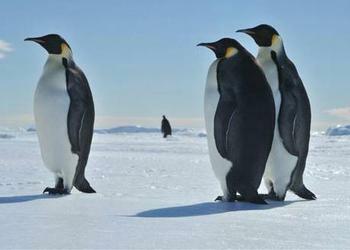 The MPA includes one of the most thriving areas of the Southern Ocean, the Ross Sea Shelf. At different times of the year this is home to 32 percent of the world’s Adélie penguins, 26 percent of emperor penguins, 30 percent of Antarctic petrels, and around half of Ross Sea killer whales. Between 50 and 72 percent of South Pacific Weddell seals live there year round. CCAMLR’s Scientific Committee first endorsed the scientific basis for the Ross Sea region MPA put forward by the United States and New Zealand in 2011. The committee invited CCAMLR to consider the proposals and provide guidance on how they could be moved forward. Each year from 2012 to 2015 the proposal was refined in terms of the scientific data to support the proposal as well as the specific details such as exact location of the MPA boundaries. Implementation of the MPA will be negotiated through the development of a specific monitoring and assessment plan facilitated by the delegations of New Zealand and the United States. Australia has welcomed the establishment of the new MPA and is encouraged by continued support for the proposal to establish the East Antarctica MPA in the future. “We are heartened by the adoption of the Ross Sea MPA and we congratulate all members for taking decisive action towards meeting a 2009 commitment to establish a representative system of MPAs within the CCAMLR area,” Slocum said. “Although CCAMLR was not able to agree on the East Antarctic MPA this year, support remains solid and we look forward to continuing to work with members to reach agreement on this important proposal,” she said. “New Zealand has played a leading role in reaching this agreement which makes a significant contribution to global marine protection,” said McCully. “The proposal required some changes in order to gain the unanimous support of all 25 CCAMLR members and the final agreement balances marine protection, sustainable fishing and science interests. The boundaries of the MPA, however, remain unchanged. “The Commission agreed that krill catch limits would continue to be set at a level which allows for the needs of predators, such as penguins, flying seabirds and marine mammals, as well as the fishery. “Additionally all krill fishing vessels will have 100 percent scientific observer coverage within the next five years,” Slocum said. In 2009, CCAMLR established the world’s first high-seas MPA, the South Orkney Islands southern shelf MPA, a region covering 94,000 km2 in the south Atlantic. “This decision represents an almost unprecedented level of international cooperation regarding a large marine ecosystem comprising important benthic and pelagic habitats,” said Wright. The duration of the MPA has been set at 35 years for the General Protection Zone, with a consensus decision by the CCAMLR membership required to continue the MPA beyond this period. The restrictions on fishing in the Special Research Zone will expire after 30 years, when the Scientific Committee will consider whether other measures are required to meet agreed science and protection objectives. MPAs are intended to provide protection to marine species, biodiversity, habitat, foraging and nursery areas, as well as to preserve historical and cultural sites. MPAs can help in rebuilding fish stocks, supporting ecosystem processes, monitoring ecosystem change and sustaining biological diversity. Areas closed to fishing, or in which fishing activities are restricted, can be used by scientists to compare with areas that are open to fishing. This enables scientists to research the relative impacts of fishing and other changes, such as those arising from climate change. 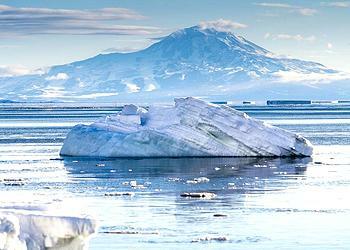 Find all documents relating to the Ross Sea Region Marine Protected Area here.